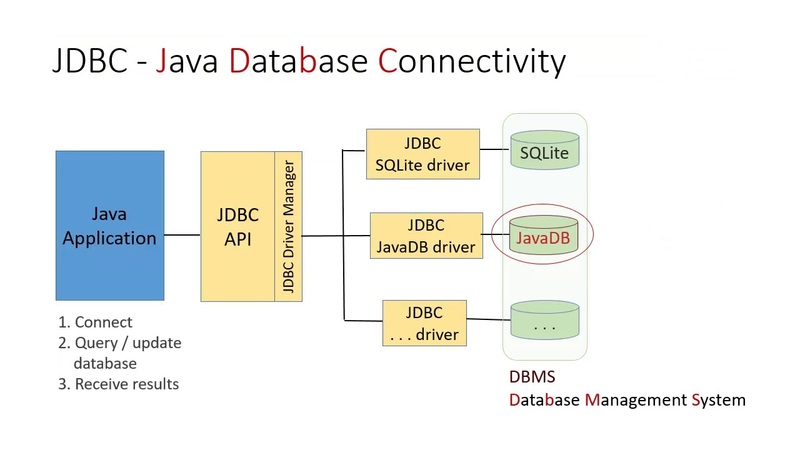 Java Database Connectivity or JDBC API provides industry-standard and database-independent connectivity between the Java applications and relational database servers(relational databases, spreadsheets, and flat files). Using the JDBC API, we can access virtually any data source, from relational databases to spreadsheets and flat files. JDBC technology also provides a common base on which tools and alternate interfaces can be built. We automatically get both packages when you download the Java Platform Standard Edition (Java SE) 8. JDBC API consists of two parts – the first part is the JDBC API to be used by the application programmers. 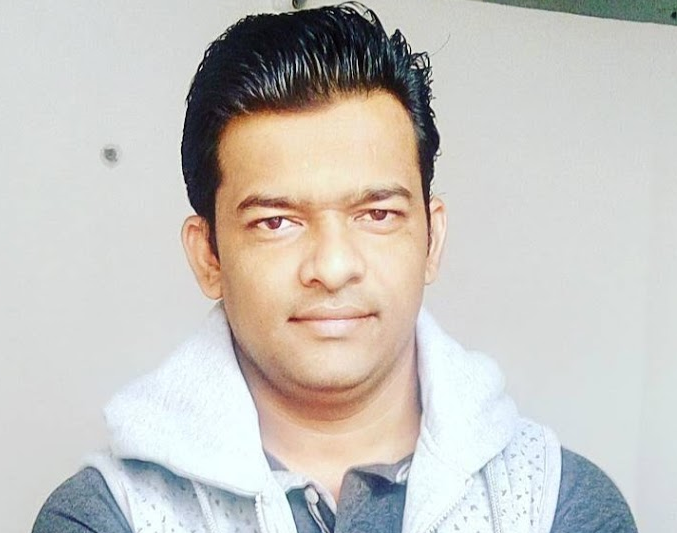 The second part is the low-level API to connect to a database server(JDBC Driver). The first part of JDBC API is part of standard java packages in java.sql package. We use java.sql package API for accessing and processing data stored in a data source (usually a relational database) using the Java programming language. For the second part is the JDBC driver(there are four different types of JDBC drivers) A JDBC driver is a set of Java classes that implement the JDBC interfaces, targeting a specific database. The JDBC interfaces come with standard Java, but the implementation of these interfaces is specific to the database you need to connect to. Such an implementation is called a JDBC driver. To use the JDBC API with a particular database management system(MySQL, Oracle etc), we need a JDBC technology-based driver to mediate between JDBC technology and the database (oracle.jdbc.driver.OracleDriver). Depending on various factors, a driver might be written purely in the Java programming language or in a mixture of the Java programming language and Java Native Interface (JNI) native methods. Install a JDBC driver from the vendor of your database. A JDBC driver is a set of Java classes that implement the JDBC interfaces, targeting a specific database. The JDBC interfaces come with standard Java, but the implementation of these interfaces is specific to the database you need to connect to. Such an implementation is called a JDBC driver. Type 4: All Java driver. If you are using Java DB ( Apache Derby database), it already comes with a JDBC driver. If you are using MySQL, install the latest version of Connector/J. Drivers that implement the JDBC API as a mapping to another data access API, such as ODBC (Open Database Connectivity). Drivers of this type are generally dependent on a native library, which limits their portability. Note: The JDBC-ODBC Bridge should be considered a transitional solution. It is not supported by Oracle. Consider using this only if your DBMS does not offer a Java-only JDBC driver. Drivers that are written partly in the Java programming language and partly in native code. These drivers use a native client library specific to the data source to which they connect. Again, because of the native code, their portability is limited. Oracle's OCI (Oracle Call Interface) client-side driver is an example of a Type 2 driver. Type 3: Drivers that use a pure Java client and communicate with a middleware server using a database-independent protocol. The middleware server then communicates the client's requests to the data source. Type 4: Drivers that are pure Java and implement the network protocol for a specific data source. The client connects directly to the data source. MySQL Connector/J is a Type 4 driver. How to install a JDBC driver? Installing a JDBC driver generally consists of copying the driver to your computer, then adding the location of it to your classpath. In addition, many JDBC drivers other than Type 4 drivers require you to install a client-side API. No other special configuration is usually needed. In this tutorial, we have used JDBC 4, JDBC 4.1 and JDBC 4.2 API so let's discuss few JDBC 4,4.1 and 4.2 API features added to java.sql and javax.sql packages. Availability to be notified when a PreparedStatement that is associated with a PooledConnection has been closed or the driver determines is invalid.